After the Pinyin course, Beginner 1 level Mandarin courses follows. This 1-on-1 course will help you develop a strong foundation in Chinese with a particular focus on speaking and listening for the beginner. Using interactive teaching methods based on practical application, you will begin learning the necessary building blocks of pronunciation, grammar, and sentence structure. Classes are speaking-based and student-centered, using various images as visual aids and questions to get you speak out in Chinese as quickly and fluently as possible. Colorful and clear images in our teaching materials make you easier to remember the words as well as grammar and sentences. The fundamental stage is always important and crucial. If students can build a solid foundation in Mandarin, it certainly would make the study afterward easier and more confident. TutorMandarin's going to help you with this stage's goals, to build basic but solid Chinese skills and also your interest in Chinese. 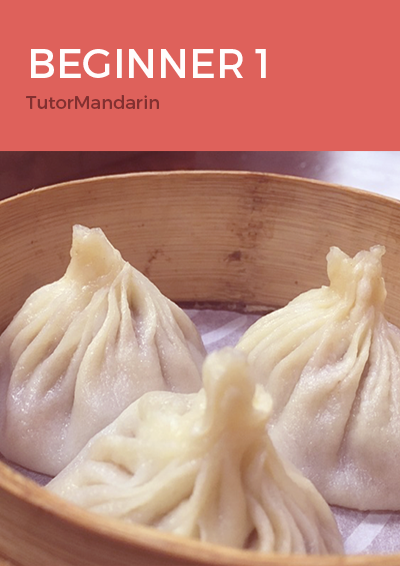 • More free PDFs Beginner 1 level in TutorMandarin Chinese blog! Download and get free PDF lessons! 1 你叫什么名字？ What's your name?